How High is that ROI? Well, guess what: Email Marketing provides an average ROI of $44 for every $1 spent. There’s your first reason to market via email! 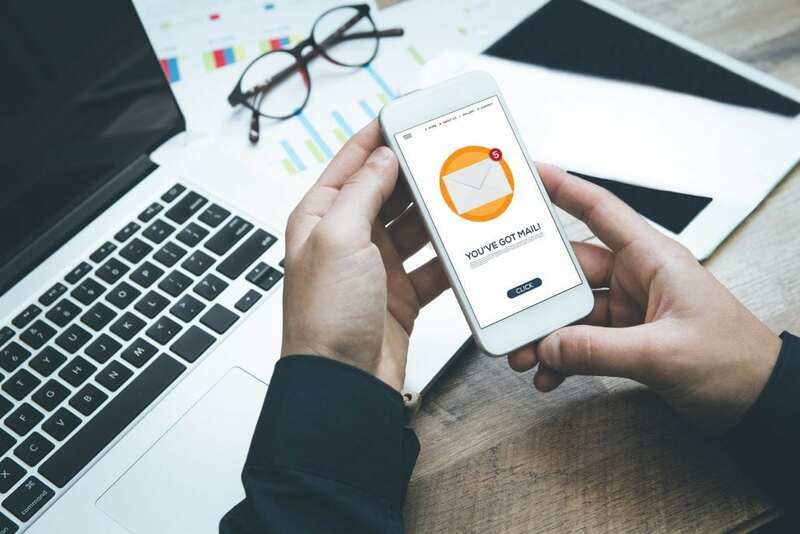 Whether you want to attract new customers or communicate with your current customers, email is a proven way to help businesses stay at the top of customers’ minds and capture a high ROI. Email marketing allows you to efficiently send extremely personalized content to specific audiences. Your audience members tell you what they are interested in by the messages they open and the content they click on. Once you have this information, you can segment your audience into different interest groups and send them what they want! I love social media and know that it can be a powerful marketing tool, but when you post on Facebook, Instagram, etc., your followers all receive the same message. Email allows you to be more personal in your approach, leading to higher engagement and increased revenue. Lastly (but not leastly), how many people do you know who don’t EVER check their email? EVERYONE still checks their inbox. As a matter of fact, 91% of US consumers check their email every single day. With approximately half of the planet (3.8 billion people) using email in 2018, you have the opportunity to build a substantial audience. Maybe not all 3.8 billion people, though…But, a healthy number. The reasons to run email marketing campaigns are many. Hopefully the short list above got you excited and realize the value of email marketing. Now, go forth and send emails.